The Pata Yamaha Official STK1000 Team delivered a superb performance throughout the whole weekend in tricky conditions at Magny-Cours, round eight of the 2017 FIM Superstock 1000 European Championship. Florian Marino showed great pace in every session and put on an incredible display of riding during Sunday’s race to finish in second, recording his fifth podium of the season in the process and re-establishing himself in the championship battle. His teammate Roberto Tamburini also impressed, securing pole position on Saturday and recovering brilliantly in Sunday’s race after a tricky start to fight back to fourth. The weather was mixed throughout the weekend at the Circuit Nevers de Magny-Cours, with it sunny and dry on Friday but damp and cold on Saturday and Sunday. Riding at his home round, Marino ended Friday’s practice second on the combined timesheets and qualified at the head of the second row for Sunday’s race. When the lights went out the 24-year-old French rider hit the front almost immediately and dominated the race, leading across the line for 13 of the 15 laps. The local hero rode amazingly in front of the passionate French support, showing incredible consistency in his lap times and it looked like he would claim his maiden victory but, unfortunately, he lost out to his compatriot Jeremy Guarnoni in the final few corners in an excellent three-way battle for the win. He crossed the line in second place, just 0.414s behind Guarnoni to record his fifth podium of the season and is now second in the championship standings, with 120 points, eight points behind the leader Michael Ruben Rinaldi with just one race remaining. Marino, therefore, has the chance to be crowned the STK1000 champion at Jerez, although the Frenchman will head to Spain purely focused on performing at his best and claiming his first victory in the class. His teammate Tamburini was third fastest overall in Friday’s practice, just behind his teammate, but improved his pace on Saturday to claim his first pole position of the season. When the lights went out on Saturday, the 26-year-old Italian did not have the best of starts and was pushed wide, dropping down to seventh and by the end of the first lap. He responded immediately and got the hammer down, showing incredible pace to make his way through the pack. By lap 11 he was up to fourth but 2.5s behind his teammate in the lead. With a clear track ahead of him, he brilliantly managed to close the gap to the leading trio but, unfortunately, ran out of laps and crossed the line in fourth, just 0.896s off the eventual race winner. This result sees Tamburini now fourth in the championship standings with 95 points and he is now just 14 points behind Toprak Razgatlioglu in third. The Pata Yamaha Official STK1000 Team are back in action for the final round of the 2017 FIM Superstock 1000 European Championship at Jerez on the 20th-22nd of October. 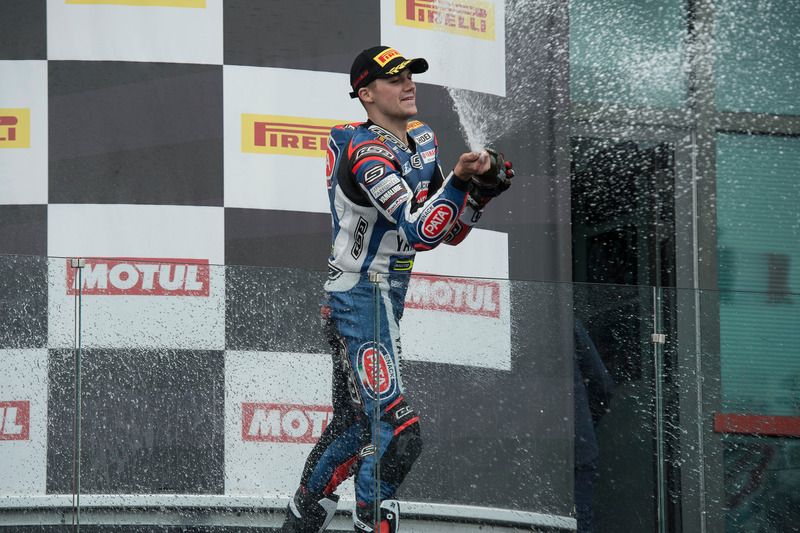 Check out the full race results from Magny-Cours.